While foot ball games were played, keepers were stopping balls when kicked by the opposite team, they were doing that when a bomb was underneath them. For years there was a WW II bomb was buried in the Penalty area of the Grünwald Stadion in München. During the war the stadion was bombed by the Americans but was rebuild after the war. 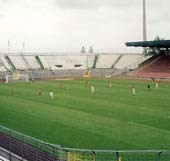 The stadion was the scene for many football games as for the worldcup and Eurocup. Untill 1972 it was used by clubs like Bayern München. There once was room for 50 000 people in the stadion but nowadays it was only used for smaller footbal teams and games. The American bomb was discovered yesterday and was disabled. However the field had to be entirely plowed to do so. Tonight Joan Franka will defend the Dutch honour during the Semi Finales of the Eurovision songcontext with the song "You and me". She will compete against Portugal, White-Russia, Malta, Sweden, Estland and Turkey. If Joan Franka wins the simi finales she will compete among others against Iceland, Greece, Albania, Romania, Cyprus, Denmark, Russia Hungary, Moldavia and Ireland. These countries succeeded to pass to the finales on Tuesday. 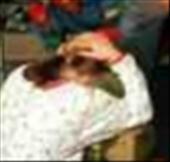 The police found a body of a dead woman buried on a camping site in Landsmeer. The police will reveal details later today. Untill now the police is saying the investigation is based on a crime with violence.